Today’s criminal indictment of SAC Capital for wire fraud and four counts of securities fraud comes less than a week after the SEC announced civil charges against the firm founded by the hedge fund billionaire. Todays criminal indictment comes just five days after the SEC announced new civil charges against Cohen, citing his failure to supervise and prevent insider trading activity at affiliates of his Stamford, Connecticutbased firm. After learning about the red flags indicating potential insider trading by his employees, Steven Cohen allegedly failed to follow up to prevent violations of the law, Andrew Ceresney, co-director of the SECs Division of Enforcement said in a press release. The SECs proposed sanctions, which would bar Cohen as a whole or in part from the securities industry, would have a more devastating effect on the multibillionaire than any monetary penalty because they would essentially prevent him from doing what he does best  manage investor funds. At the center of the SECs case against Cohen are trades executed in 2008 by Martoma and Steinberg. In the complaint, the agency alleges that Cohen completely disregarded the advice of several analysts who raised concerns on Martomas possible possession of nonpublic information about drugmakers Elan Corp. and Wyeth, in which SAC and affiliate CR Intrinsic Investors had built up long positions of more than $500 million by June of that year. The SEC cited emails and instant messages that were made to Cohen indicating that Martoma illegally possessed advanced intelligence on the results of clinical trials of an Alzheimers disease drug being developed by the two companies. The results were leaked by Martomas informant, a doctor familiar with the results of the trials. Despite repeated analyst warnings, in July Cohen dumped his and Martomas positions in Elan and Wyeth and instead shorted their shares, earning $275 million in illicit profits and avoided losses, according to the SEC. Cohen rewarded Martoma with a $9 million bonus that year. In the Steinberg case, the questionable trades focused on shares of computer maker Dell, which were executed in August 2008. Cohen again ignored warning signals of insider trading based on a highly suspicious email involving Steinberg and several employees, the SEC alleges. Cohen liquidated his own Dell positions, based on Steinbergs recommendation. Steinberg then commenced shorting shares of Dell in his Sigma Capital Management portfolio. Shortly thereafter, Dells stock plummeted on poor earnings results; Sigma Capital profited on the short positions. 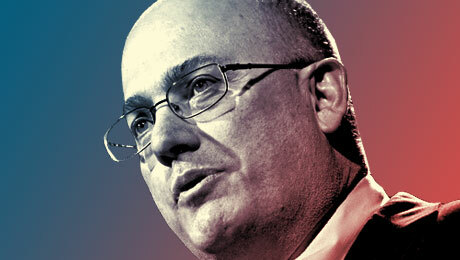 Cohen was said to have promptly praised Steinberg, in an email, for his trading move. In the white paper, Cohens defense team asserts that the SEC complaint lacks any basis. In the case of Martoma, the report argues that his trading activities with Elan used legitimate market information. It goes on to say that various analyst reports during the time period substantiated the downward spiral of Elan stock and that Cohen had no reason to see Martomas trading move as anything but the result of growing negative market consensus. For Steinbergs activities, the defense postures that Cohens voluminous email traffic and the timing of the receipt of the secondhand email about Dell precluded Cohen from viewing it, much less executing on Dell trades at the stated time. Cohen has been noted to receive an average of 1,000 emails a day in 2008, with only 11 percent opened. The SECs claim of supervisory negligence was therefore unfounded in both cases, the white paper concludes. 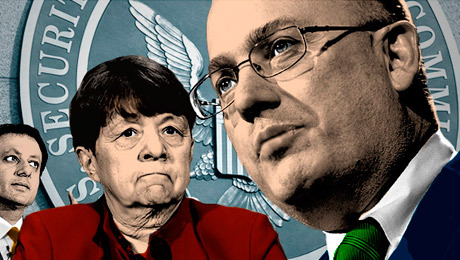 The outcome of the SECs case will be heard by an administrative law judge, who generally oversees civil administrative cases on securities trading. He will ultimately decide whether insider trading did occur, if Cohen had a compliance program in place and if warning signals were evident that he should have heeded. The Martoma and Steinberg trials continue to be pivotal to not only the SEC case but also that of Department of Justices criminal proceedings. Todays announcement by the DoJ and U.S. Attorney for the Southern District of New York Preet Bharara that the government has charged SAC, CR Intrinsic and Sigma Capital with wire fraud and four counts of securities fraud after a multiyear investigation could prove fatal to SACs continued existence. 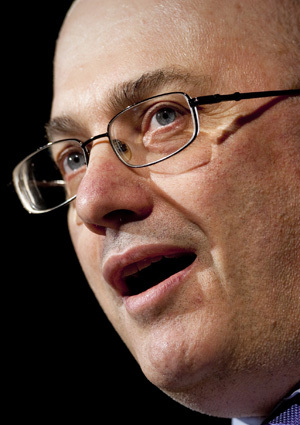 For the billionaire hedge fund manager Steve Cohen, the long, hot summer isnt likely to end anytime soon. Amy Poster is director for risk and regulatory services at New Yorkbased C&A Consulting (amy.poster@caconsultingllc.com). Previously, she worked for the U.S. Treasury Department, in the Office of the Special Inspector General for the Troubled Asset Relief Program, as senior adviser for financial markets; she also served in federal interagency enforcement initiatives. Before that she was global risk controller for credit products at Credit Suisse Group. The views and opinions stated in this article are those of the author and do not necessarily represent the views or opinions of C&A Consulting, its management or its affiliates.